A Jessica Alba-approved, summer-appropriate, cool AND comfortable trend that you can wear with anything? You know we’re in! Keep reading to shop our selection of the perfect drawstring pants (for every occasion) that you won’t ever want to take off. Wear these with a printed jacket for a high-impact look! We love this sheer pair—perfect for nighttime dressing. The luxe fabric on these track pants means they can be easily dressed up or down. These floral pants scream summer! Style these with a graphic t-shirt and your favorite sneakers for a casual, edgy look. This pair by The Row would go great with a white top and light-colored heels. Liquid metal at it’s finest. This chambray pair is a no-brainer when it comes to styling—just swap them out for your usual blue jeans! This khaki pair is perfect for re-creating Jessica Alba’s effortless look, as seen above! Silky, flowy trousers are perfect for summer nights. Haven’t you heard about the slimming power of vertical stripes? The sheer panels on these pants are in just the right places. We want to live in this silky Rag and Bone pair! Be the most stylish AND comfortable girl at the office in these pants by Ann Taylor. 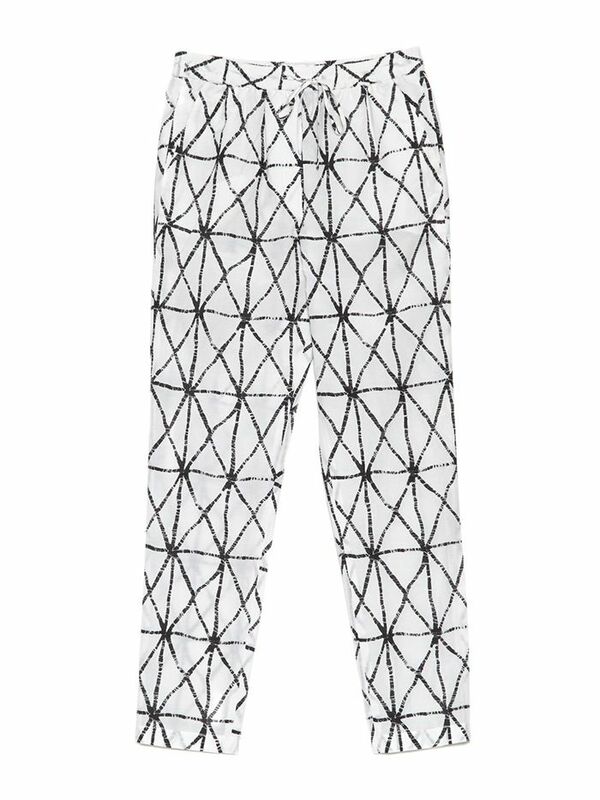 Treat this print like a neutral and style these pants with anything! All you need is pumps and a blazer and you have a perfect summer work look! For a dressy look, pair these with a tucked-in black top and you will create the illusion of a jumpsuit. Go beyond just a “pop” of color with these red trousers. Wear these with all-black for an ultra-chic look. Who doesn’t love a polka-dot? We’re in love with the color of these blue trousers! Tell us how you would style these drawstring pants in the comments below!